Meet our professional dog trainer: Jake Belmont of Red Pointy Dog Training. Next set of classes will begin on April 27‌th (weather permitting)! 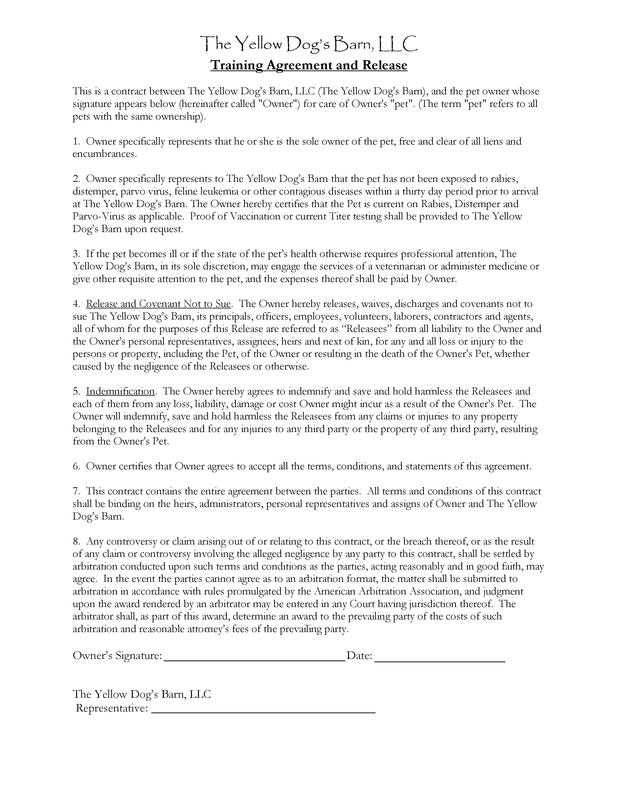 Call, email or stop by The Yellow Dog's Barn to register today! Jake Belmont of Red Pointy Dog Training. Jake got his start in the dog world right here at TYDB nearly 9 years ago. Fascinated by the various behaviors individual dogs can display, Jake created his business around the study and practice of changing dog behavior. 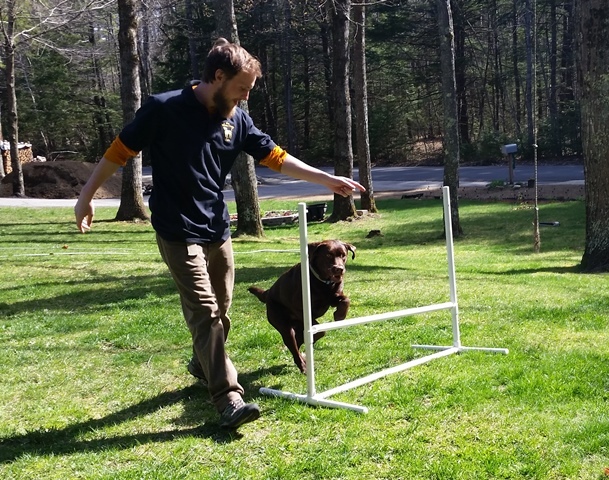 He believes training should be fun for dogs and humans too. It is because of this that Jake uses positive methods of training and educates owners on the pitfalls of correction based techniques. Jake believes that positive training methods develop trust and strengthen a person's relationship with their dog. When your dog enjoys working with you, they are more willing to do so. Jake is a professional member of the Association of Professional Dog Trainers and is a Canine Good Citizen Evaluator with the American Kennel Club. He continues his studies and education because dog training is a growing and evolving field. Jake shares his home with the “Red Pointy Dogs” in Strafford. In his free time, you can find Jake hanging out with Manzo and Piper, mountain biking, or hiking in the white mountains with Louise. Our Training Classes are held in the spring, summer and fall months only and are held outdoors. Please be sure to dress accordingly (sunscreen, sun glasses, light jacket or sweatshirt, rain jacket for light rain or possible showers). Sometimes the weather can change our plans. In the event of rain, thunder or undesirable weather, we may decide to cancel or re-schedule training classes. If classes are canceled, we will post such notification on TYDB Website, TYDB Facebook page & Red Pointy Dog Training Facebook page. We will also attempt to contact each client via phone, text or email. Please be sure to check for notifications if the weather does not look promising before coming to class! This class is for dogs 3 to 6 months old and up-to-date on shots and vaccinations. This class requires you to bring 100-150 small pea sized training treats and a 6 foot, non-retractable leash to each class. Puppy hood is a time of playing, laughing, learning, exploring and growing (all too fast!). At this impressionable stage, building a trusting relationship is paramount too. That is why this class will be focused on a training style that is positive and fun. Using a clicker or marker word (yes, nice, etc.) to shape and reward appropriate behavior instead of correcting undesirable behavior. It is our belief that training should be fun for both dog and human. So let's grab our treat pouches and have some fun! This class is for dogs 6 months and older and up-to-date on all shots and vaccinations. This class requires you to bring 100-150 small pea sized training treats and a 6 foot, non-retractable leash to each class. So you’ve just adopted a dog and you are wondering what to do next. Or maybe the behaviors that were cute and harmless when your dog was a puppy are becoming a problem now that they are growing bigger and stronger. The answer is Basic Obedience class! Through positive, relationship building training methods we can form our dogs behavior to fit our desires, and our dogs will have fun doing so! Just because they might have missed learning these behaviors when they were puppies definitely doesn't mean they can't learn them now. With the proper techniques, all dogs, no matter the age, love learning new tricks. This three-week class focuses on all the skills you need to help build a perfect recall response. We will work on proofing this behavior in all kinds of situations and in the face of all kinds of distractions. This class is not suitable for aggressive or reactive dogs. Have a dog who drags you down your driveway, through the woods or to every single smell they come across? This three-week class is for you! We will focus on building all the skills you need to have an enjoyable walk with your best friend and help save your shoulders! Whether you are looking for a fun way to wear your dog out a little, build your relationship or just show off to your friends, learning tricks can be fun for both you and your dog. In this fun three-week class we will work to achieve all those things while working towards your Novice Trick Dog Title. This Class focuses on working to get your Canine Good Citizen certification. A great next step for someone who as already gone through some basic training, this class works on all types of real-life training scenarios. Whether the certification is important to you or not this class is full of great training situations for you and your dog. This class will focus on all the behaviors you need to have a great time out on the trail. Often a place of stress for many people, a well-behaved dog can change that to one of the things the two of you look forward to most. A portion of this class will take place out on the trail.